Where will retired Cowboys tight end Jason Witten go down in Dallas history? 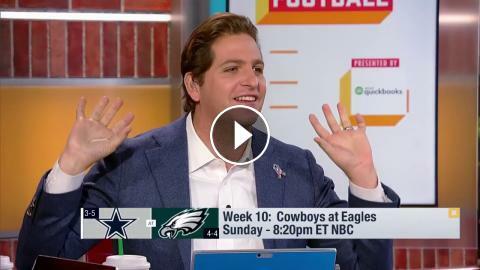 What must Dallas Cowboys do to overtake Redskins & Eagles in NFC East? What's the temperature of Dallas Cowboys head coach Jason Garrett's hot seat entering 2018? What is the Dallas Cowboys' plan to catch the Philadelphia Eagles in the NFC East? How well are the Dallas Cowboys equipped to handle tight end Jason Witten's retirement? How will the Dallas Cowboys offense look without TE Jason Witten? Dallas Cowboys owner Jerry Jones: "Cowboys haven't had a No 1 receiver for several years"